There isn't an incredible amount of pain, just more of an annoyance. 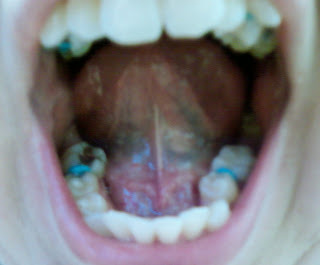 I constantly want to push on my teeth with my tounge. I want so badly to be able to eat something solid!!! 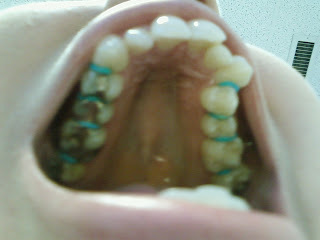 5 days until I get fitted for my upper expander and my lowers braced!